As 2008 drew to a close the economic outlook for New Zealand was bleak. The country was slipping deeper into recession and industry was facing an uncertain future. But for one industrial electrical supplier the news was far more positive. 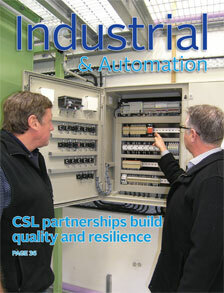 NHP Electrical Engineering Products (NZ) Ltd had been handed a growth opportunity on an unprecedented scale. 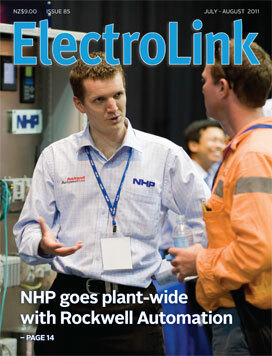 Rockwell Automation had just appointed NHP as its sole New Zealand distributor of its automation products. Certification: Is it time to let users drive it? Following a recent review, changes to the way electrical installation work is certified will be introduced and work is now underway refining the architecture of the new regime. If handled right, new regulations redefining how safety verifications are to be made could open up further opportunity for the industry to drive the delivery of certification. Changes could also enable industry organisations and associations to strengthen their roles and attract more members by providing a more beneficial pathway to compliance. Last month Brayden Jack wrote the most painful cheque he has ever written and handed it to his solicitors. Normally Jack writes cheques for services rendered to his company, but this time he was paying instead for services he had rendered another company, an electrical contractor, which later went into liquidation. Thanks to a cruel twist in the law, Jack had to hand over to the contractor’s liquidator all the payments his company, Boss Systems Ltd, received for a sub-contracted data installation they had successfully completed for it some nine months before. As automation technology becomes more complex and more sensitive electronic equipment is installed, the quality of the connectivity between field sensors, PLCs and other devices has become an increasingly significant factor in the reliable operation of a plant. Drive industry concerns that a draft code of practice for the installation of variable speed drives creates confusion rather than clarity has been taken onboard by those developing the code, resulting in changes that are expected to make the code easier to follow and comply with. 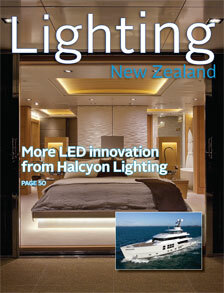 As ever more powerful LED luminaires and lamps are released to the market for a growing range of lighting applications, one New Zealand lighting supplier riding the LED wave has introduced a luminaire that offers not only the efficiency of LED but also in-built sensors to conserve even more energy. The Energy Efficiency and Conservation Authority (EECA) is likely to target greater uptake of automated lighting control systems in commercial office space as a focus of its next round of Requests for Proposals (RFPs) scheduled for release in September or October. New rules for downlights are now on their way with agreement having been reached on the types of downlights that will be allowed in domestic installations and test methods to ensure their safety in the presence of building insulation.